Integration with Active Directory, LDAP, SIEM tools, DLP systems, etc. Both SealPath Enterprise On-Premise and SealPath Enterprise SaaS can integrate with Active Directory or a LDAP different from Microsoft Active Directory (AD). This enables internal users to log in to SealPath with their domain credentials. It also enables collaboration with groups of users defined in AD so that a group or any user who is a member of the group can access documents protected specifically for them. In contrast to other systems it is not necessary to manage groups in SealPath or to re-create them. You can simply use those already created in AD. 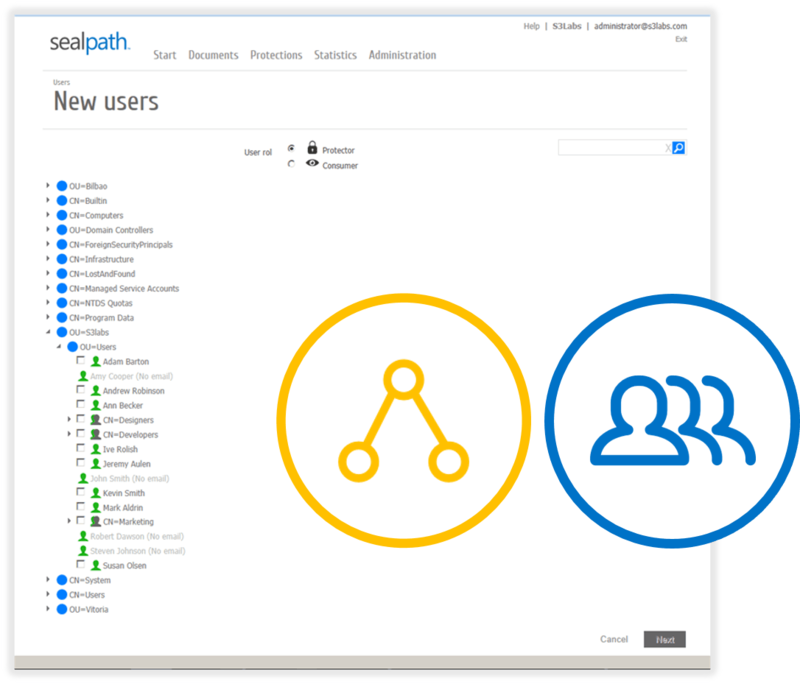 Provision of users is also simplified for administrators since they can control which groups or users from AD they wish to register in SealPath. SealPath can be integrated with SIEM (Security Information and Event Management) tools so that access events to protected documents, alerts on the same, who is attempting to access without permission or who has removed protection can be automatically registered in the SIEM. You do not have to access the SealPath web administration dashboard to perform monitoring but can do so from your security event management tool as a centralised function. Data Loss Prevention applications (i.e. ForcePoint DLP and others) prevent information leaks by monitoring the location of important information and scanning (at network outlets, PC ports, etc.) the information subject to attempts to extract it from the corporate network, enabling the owner to decide if it should be exported or not. SealPath enables protection of the information wherever it may travel even if it has already been extracted from the corporate network so that the protection perimeter extends beyond the network and access to the documents can be revoked or authorised in real time regardless of their location. Automatic protection of documents at the end point when the DLP detects unprotected documents classified as confidential. No action by user is required to protect them. Files sent by email to third parties can be automatically protected with a specific protection policy if it is detected that they are confidential. The DLP can check if the document sent to a third party is protected and can track the email route. Files copied or moved to USB devices or network drives with confidential information can be protected automatically in transit (i.e. With ForcePoint DLP). 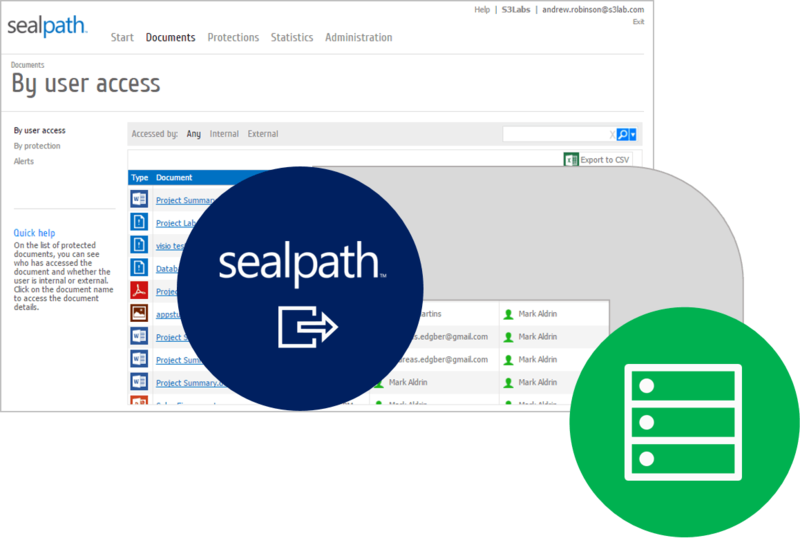 Since the documents have been protected by SealPath the owner has the option of monitoring access to confidential files or blocking access to the same as required. This approach provides the customer with the best of both technologies: With the DLP you can detect confidential information knowing where it is and where it is going, and with SealPath you have remote control over the files and can revoke access permission to documents as required. SealPath has a REST and .net Web API that can be enabled from any platform or device. It is extremely simple to operate and provides protection, de-protection, policy management and user management. This SDK is available for use normally by corporate systems from which confidential documents, for which protection and control of use access permission is desired, are downloaded or uploaded. It also has simple applications by line command for easy protection and de-protection of files that may be integrated in scripting tools. 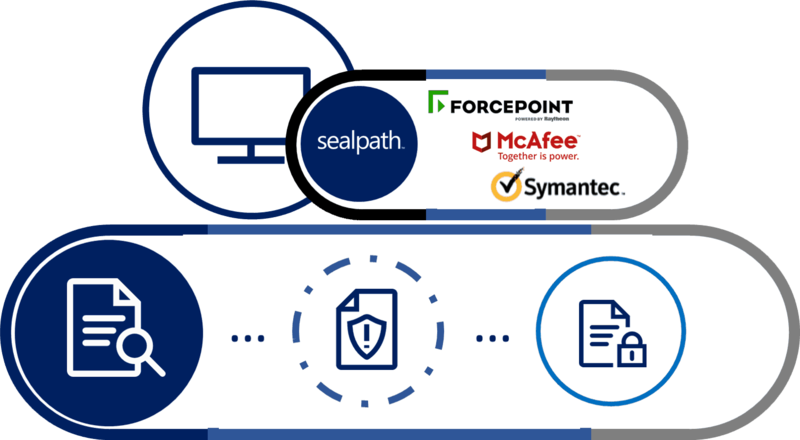 Use SealPath as an IRM platform or service rather than as a specific solution and endow your corporate applications or products with a robust, flexible document protection.